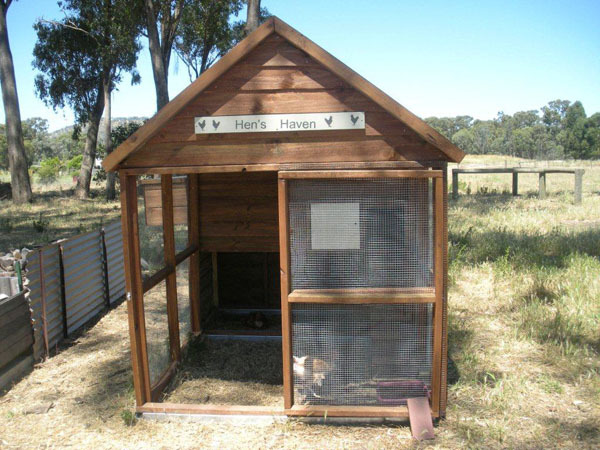 The large wooden hen house is sturdily built for longevity and with design consideration for ease of access and pet comfort. The timber coop has an overall size of 2200 height X 1960 width X 2730mm length. It is constructed from a pet safe / child safe ACQ treated pine with a colourbond roof of your choice form the colourbond range. 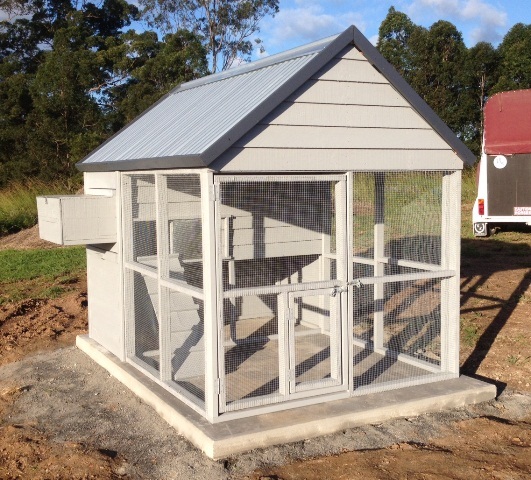 It has a large 770 long X 430 wide X 400 mm high nesting box with galvanised steel covered upward opening hinged lid, to enable ease of access to the eggs. The sleeping compartment is 980 long X 1800 wide X 1500 mm high with standard 3 perches to nest up to 15 hens with comfort. 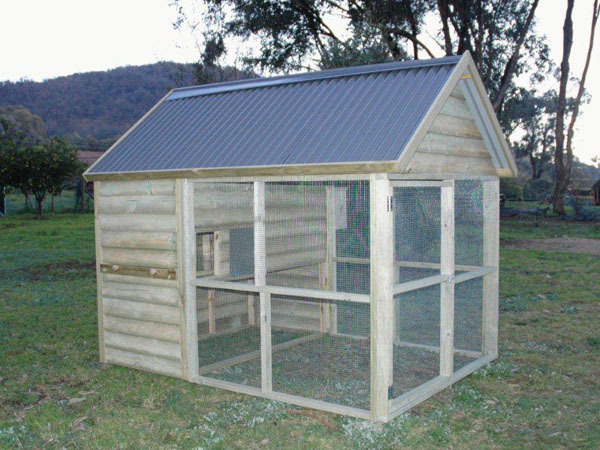 There are two sliding galvanised steel toped trays at the base of the sleeping compartment for ease of cleaning, firm mesh wire to protect the hens from rat, cat and snake, a fully covered deep pitched colourbond roof to allow for plenty of ventilation and to protect the hens from the extreme Aussie elements. The sleeping compartment is raised above the ground to protect from damp and rot. 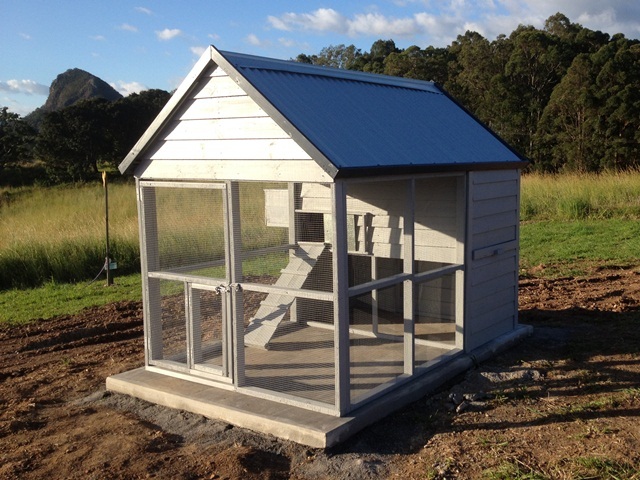 It has a large 670 X 600mm rear outward opening hinged door for ease of access as well as a sliding metal plate at the front so as the hens can be locked in safely. There is a sturdy ramp to allow the hens ease of access to the sleeping compartment and a large hinged meshed covered door on the front of the pen for your access and to allow the hens out to forage. 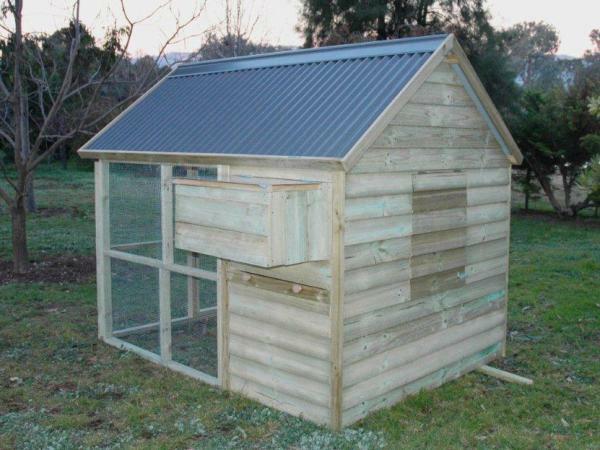 The medium wooden hen house: The overall size is 2200 height X 1960 width X 1970mm length. 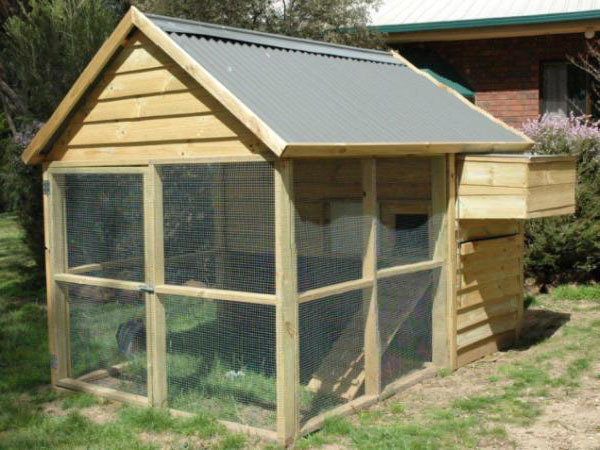 The same in all aspects as the large chook house except the outer meshed cage is reduced by 800 mm in length – (i.e., 1 wire mesh panel). Ideal when space is a premium in the back yard. 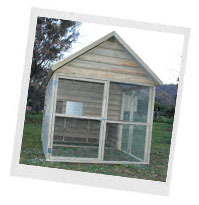 These attractively designed wooden hen houses are easy to clean, will compliment all of the other timber products from the Kidzone range and be a perfect addition to your back yard or home. The kit comes complete as a flat pack with detailed assembly instructions and all the fittings and fixtures required. These quality timber products can be easily assembled by two people within 1 to 2 hours.